Businesswomen’s Group for organizing a women’s winter coat drive for Wellspring’s Awesome Closet! 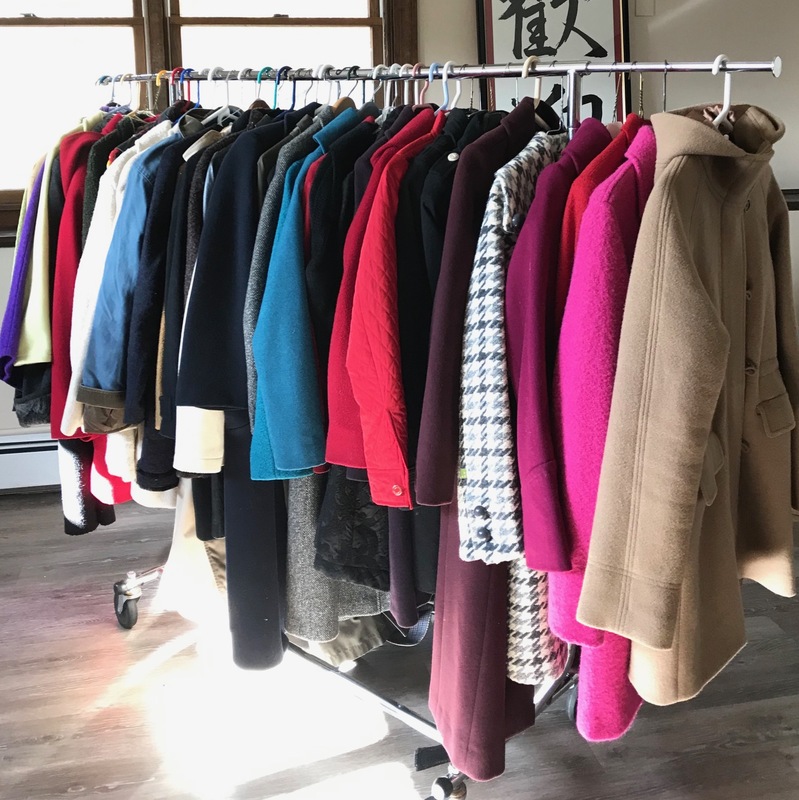 Thanks to the generosity of the women who donated, any woman in need who is served by Wellspring’s programs will have access to warm coats this winter. Wellspring’s “Awesome Closet” is now displaying a Fall/Winter collection of clothes and accessories. Wellspring’s shelter guests, and participants in our education, job training and homelessness prevention program are welcome to “shop” for free. Our latest collection offers stylish outfits from size 2 to 22. There is something for everyone, and now that includes nice, warm coats!